There’s a baby growing in my circle of friends. I’m feeling under the weather today, what a better way to cheer myself up then to start and finish a baby knit. 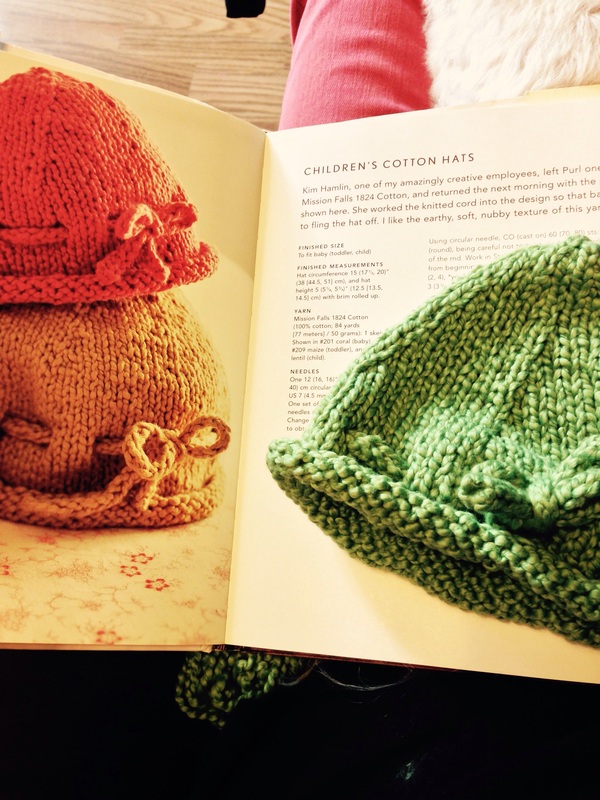 This little cotton hat pattern is from “Last-minute knitted gifts” by Joelle Hoverson. This is my go-to book of classic patterns. Whenever I’m at a loss about what to knit I find the perfect pattern.